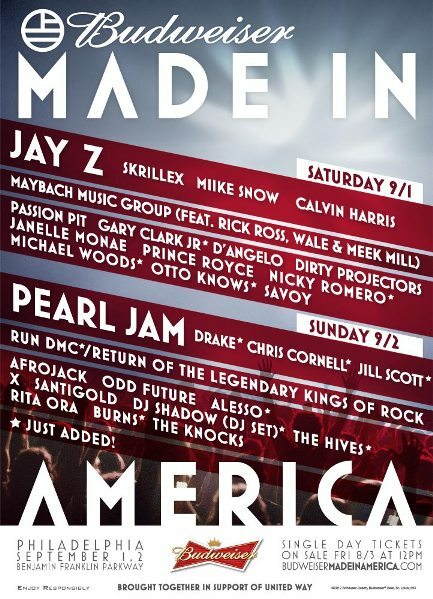 We had Phase 1 of Jay-Z's Made in America Festival taking place in Philly this Labor day. Now we have the full line-up. Drake, Odd Future, Jill Scott are some of the newest editions. Click HERE for more information about the Made in America Festival.